In the semi-finals, Trout and Burn the Ships went back and forth before the latter emerged with a slim victory. Sam’s Morbid Moments had a more comfortable win vs Drafts of Everything. For our bonus question, half of EW listeners would put their money on Jeff in a fight. 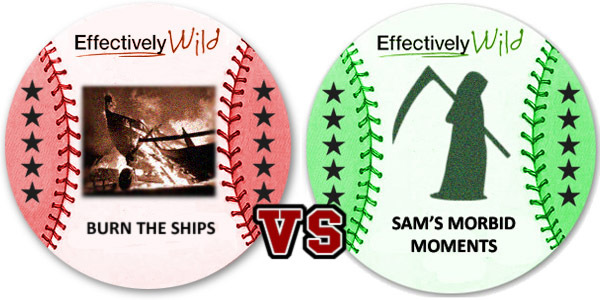 So Morbid Moments and Burn the Ships meet in the final round. Trout and Drafts meet in a 3rd place match. Voting ends Friday night, March 31, at 12 am ET. The winner will be announced Sunday.